Chances are you’ve already seen this announcement, but if you haven’t it’s one you should start pay attention to. 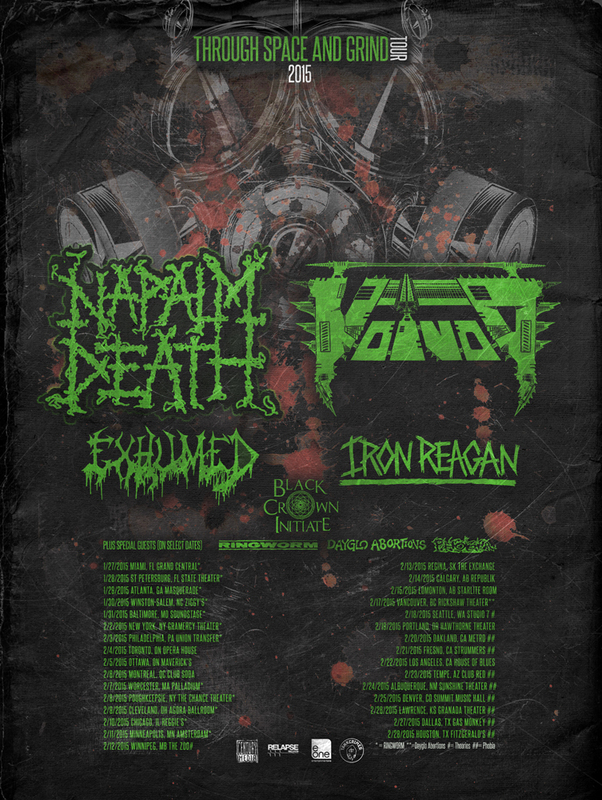 Napalm Death and Voivod have confirmed they will head out on a North American tour. This will coincide with Napalm Death’s new album Apex Predator- Easy Meat, which comes out January 27th. 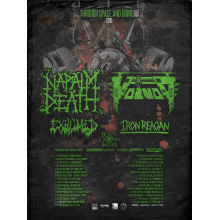 Exhumed, Iron Reagan, and Black Crown Initiate will act as support on all dates, with Ringworm, Dayglo Abortions, Theories, and Phobia appearing at select regional dates. This looks like one hell of a lineup, and along with the At the Gates tour is definitely a tour that shouldn’t be missed in 2015. Full list of dates below.